Luciano Rabito, P.E., to Associate of the firm. Lou’s leadership in roadway design provides additional expertise to our growing transportation planning and engineering practice. A nationally recognized expert in roadway design and in particular Complete Streets, Lou will serve as a Member of the National Committee on Uniform Traffic Control Devices and as a Panel Member of the National Cooperative Highway Research Program (NCHRP Panel) 17-81. Lou worked closely with Secretary Pollack to create the Complete Streets Funding Program enabling municipalities to receive funding for Complete Streets Projects. Additionally, Lou managed the development of MassDOT’s Separated Bike Lane Planning and Design Guide, which attained national recognition. “Lou has been a valuable addition to our staff, adding more depth and knowledge of both local and national practices to our growing Complete Streets practice. His promotion to Associate of the firm reflects his valuable contributions both to advancing our projects and also to mentoring our staff,” said Keri Pyke, P.E., PTOE, Principal of Transportation Planning. Lou is currently developing Complete Streets solutions for the reconstruction of the Melnea Cass Boulevard in Boston, Plantation Street in Worcester, and Mount Auburn Street in Cambridge. 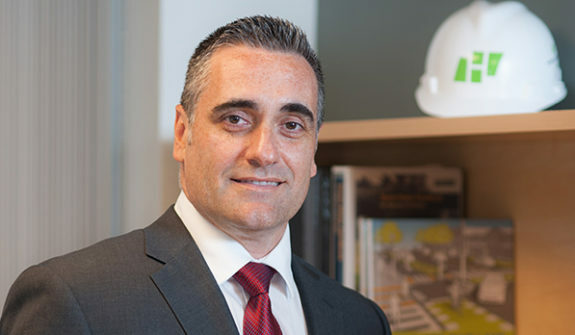 Graduating from Tufts University with a Bachelor of Science degree in Civil Engineering in 1991, Lou is also a registered Professional Engineer in the Commonwealth of Massachusetts and a member of the Association of Pedestrian and Bicycle Professionals (APBP). Please join us in congratulating Lou! Click here for more information on Lou.